So you’ve purchased a new door from us? Then we have good news. Our doors can give you tax credits that will save you even more money. If you haven’t yet gotten a chance to order a door from Southern Front, don’t worry. We are still offering new and improved options that are continuously breaking bounds in energy savings. 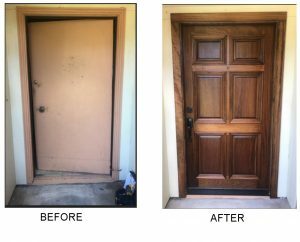 Our goal is to give you a door that will save you energy, money, and all the stress we can. Today, our blog post will explain how you can get a tax rebate from a new door. Just like the government, we want to reward you for living smart! How Can I Get A Tax Rebate? If you’ve made home improvements that make the house more energy efficient. You’re capable of writing it off in your taxes. Whether you’ve chosen to use solar power, wind power, or you’ve simply made modifications to your home that increase its conservation of energy. There are plenty of different incentives which reflect a desire to be more green. This is the result of a bipartisan budget act that was made to increase the U.S. commitment to renewable energies and responsible energy conservation. They have released a new form which takes into account new methods that have been found to show green improvements. The act includes adjustments that you’ve made to doors and windows as well. You can get up to $500 off of your door’s price if it passes the requirements. To apply for the 2017 energy efficiency tax credits, you need to file the IRS Tax Form 5695. and submit it with your taxes. At Southern Front, we make sure that all of our doors have the top of the line features. We spare no expenses in creating products that will satisfy all of your energy needs. The reason that our doors excel over the competition, is because they’ve been EnergyStar certified. EnergyStar requirements are the basis for this year’s tax credit and the new act demands that your door is within the lines of EnergyStar’s mandate. It must have proper weather stripping and materials that regulate energy leakage. Fortunately, our doors offer just that. 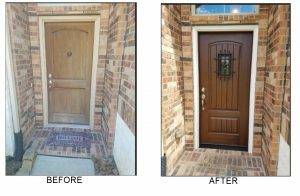 We have a great selection of doors which have been EnergyStar certified and will qualify for the rebate when you file your taxes. Get A Tax Rebate With A New Door From Southern Front! 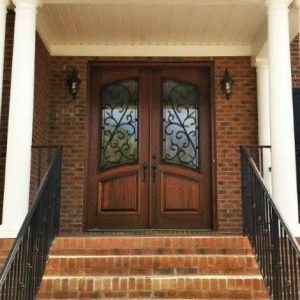 At Southern Front Doors we understand your desire to find the most cost-effective option for your home. You want the door that goes above and beyond, and not only takes care of your needs but also helps save you money. Our EnergyStar certified doors make our options not only excellent specimen but eligible for the tax credit also. It is an incredible time to be alive because this was never an option in the past. Previously, incentives for green energy were scarce and they certainly wouldn’t do it for doors. However, as time goes on we have become more dedicated than ever to finding green solutions. Since this wave is sweeping the globe, we have caught on to the trend, and we want you to get in on the savings too!